Fosse Specialist Roofing are based near Cirencester, Gloucestershire and generally cover an area running north to south from Tewkesbury to Bristol, and west to east through the Forest of Dean to Oxford. We specialise in single ply/flat roofing works, for which we will travel further afield. Our three directors provide a combined experience of over 70 years in the roofing industry, and provide a high quality service for all your roofing requirements. We are a SMAS registered company and carry out both pitched and flat roofing works including brown and green roofs, being approved installers of several single ply products. 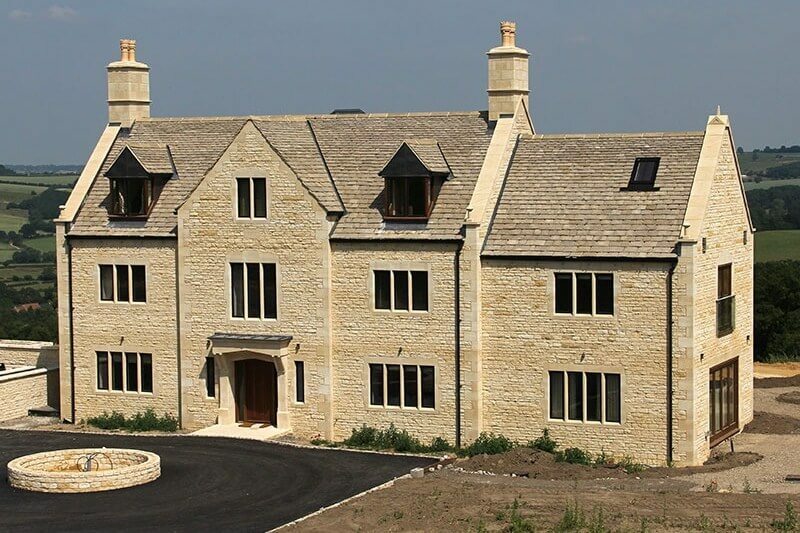 We have an experienced labour force who install all types of pitched roofing including concrete tiling, natural and fibrecement slating, cedar shingle, natural and reconstituted Cotswold stone, along with all associated leadwork. Our flat roofing department work closely with our partner manufacturers, Danosa, Axter, ICB and Firestone, and carry out single ply, felt and hot melt bitumen installations, all covered by manufacturers insurance backed warranties. Our work is often quite complex and bespoke; however the company always rise to this challenge. They have proved to be very knowledgeable offering solutions as and when needed. Their work is always completed within the timescale. An easy company to work with - efficient, reliable and courteous.